Over the weekend spring has officially began. Now we’re on the British summer time and so the days are getting longer and brighter. Green is popping up everywhere too. 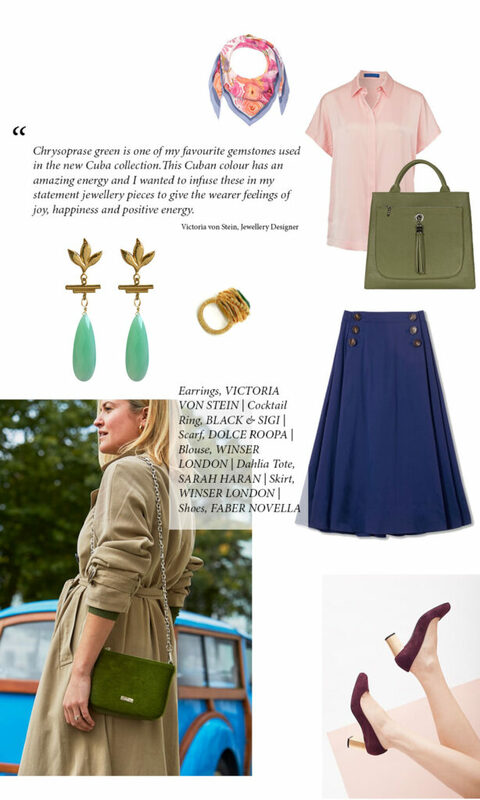 After some brainstorming with Karolina, the editor-in-chied of ESTILA, we thought that it would be appropriate to start with this colour and not only show you how you can let it into your life (if you’re not a big fan at the moment! ), but also to tell you more about how it affects us daily. 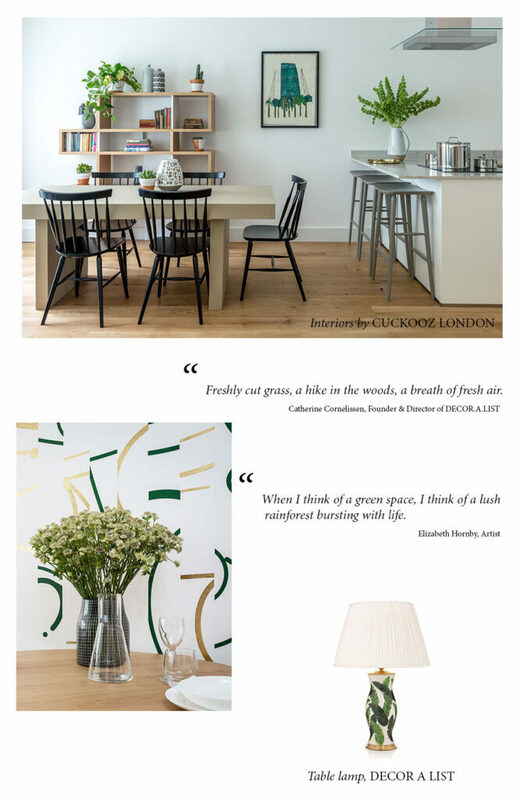 And so here it is, the first of the “Say it with” mini series, talking all about green in life, interiors, fashion and business. 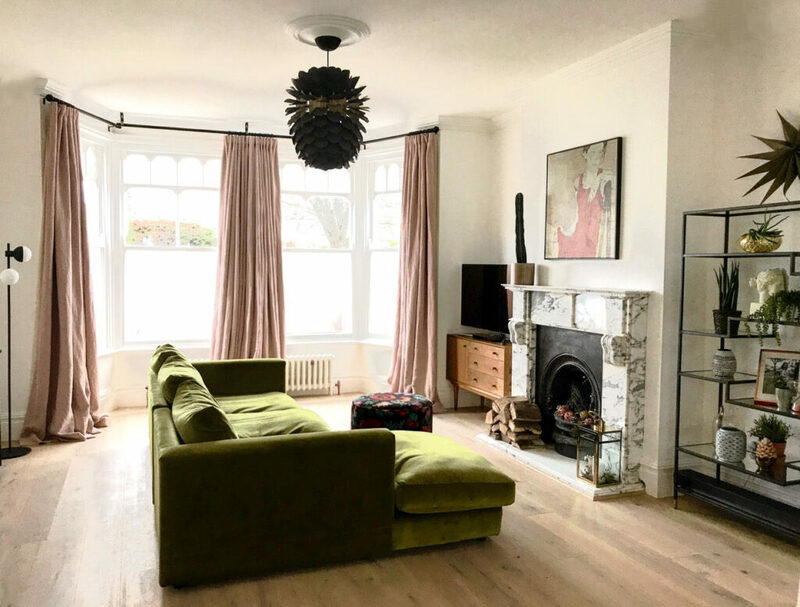 This is a summary of everything I’ve learnt about it over the years while re-designing our first house and blogging about it on my personal blog Secretgardenhome, which I created to cheer myself up and everyone else who suffers from SAD (seasonal affective disorder). Green is definitely one of my favourite colours and it always puts me in a good mood. Think of a long walk in a forest, picking wild berries or running bare foot on grass during the summer holiday. It’s not a surprise green tends to be associated with nature, spring and freshness. Green is rejuvenating, might have a calming effect and gives us hope. 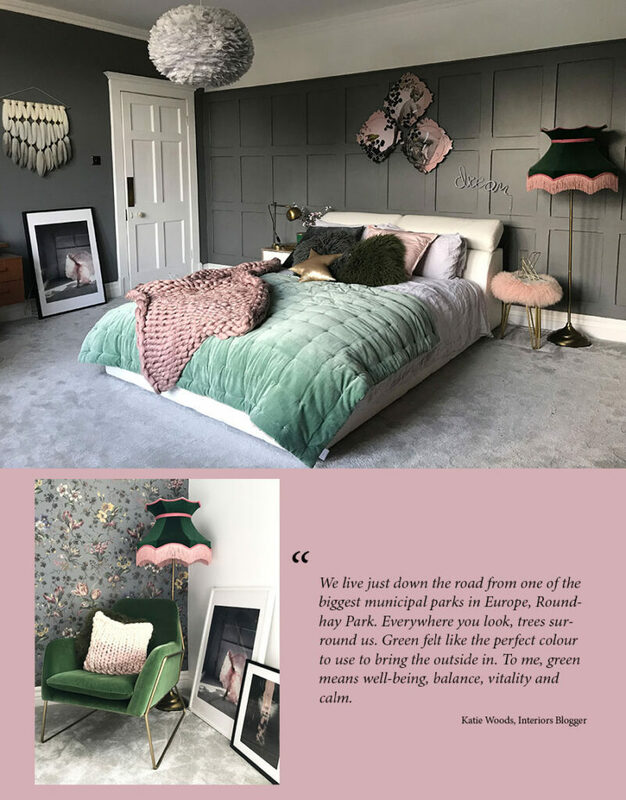 According to colour psychology (I didn’t make it up), green brings tranquillity and health and as such is perfect for bedrooms and places where you are willing to relax. To add warmth and depth, use a green that includes elements of darker red or brown. The darker shades of green give rooms a more sophisticated look, but keep the space relaxing at the same time. 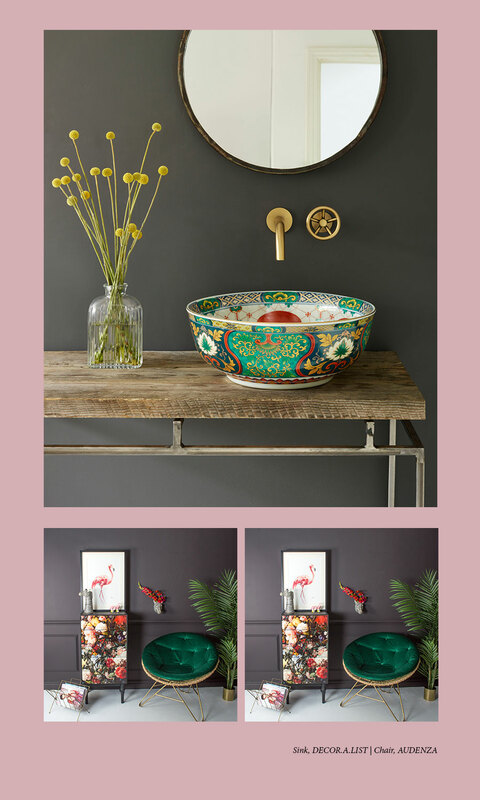 Dark green looks glamorous and elegant when combined with any period features, and looks at its best when combined with any shade of pink as an accent colour. My absolute favourite combo at the moment for any master bedroom is Deep Sea green and Dinky pink. 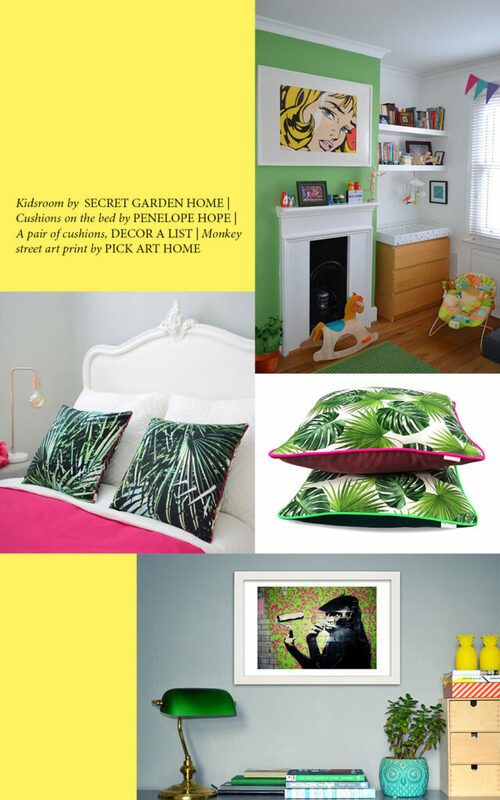 Slightly lighter shades of green, with a zesty hue, look great in kids’ bedrooms, especially when combined with other playful colours like yellow and even red. Minty green looks great when combined with a more Scandi interior, mainly used as an accent colour. There are many shades of green, but my old-time favourites are: teal, emerald green and so-called British racing green. When combined with copper and gold, they can make any room look fabulous and stylish. If you are a bit scared about decorating with green, start with plants and transform any space into a mini green sanctuary. If I’m feeling a bit under the weather, I tend to wear green. My maiden-name derived from green, so it’s not a surprise that I still surround myself with this colour at any opportunity. However, green is not the easiest colour to wear, as it doesn’t suit all complexions, but works well when it comes to accessories like bags or jewellery. According to Carol Hanson, a wardrobe stylist, using the colour wheel is very useful for helping you to choose a colour combination you would never normally consider. Her approach to wearing green is seasonal. She advises mixing khaki and a spicy orange in autumn; aqua greens with dark blue during summer months; strong deep emerald green with rich purple in winter, and bright fresh green with beige in spring. Voila! In the Western world, green is frequently associated with money and wealth, but, without doubt, it communicates growth, vitality and freshness. It symbolises renewal and restoration. Think of any eco-friendly product, it’s got to be green, right?My favourite logos using green well: Spotify, Starbucks and Carlsberg. This pretty much summarises my weekends; music, coffee and beer haha!! What’s your favourite colour? Monika is co-founder of PickArtHome, an online independent art shop selling a selection of unique, high quality, contemporary photographs for those seeking an out of the ordinary twist to their wall décor.